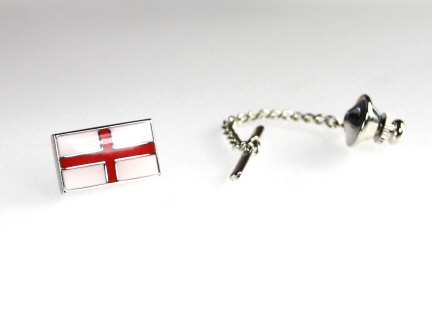 An English Flag tie pin with the red and white St George Cross. Tie tack fitment. Boxed.